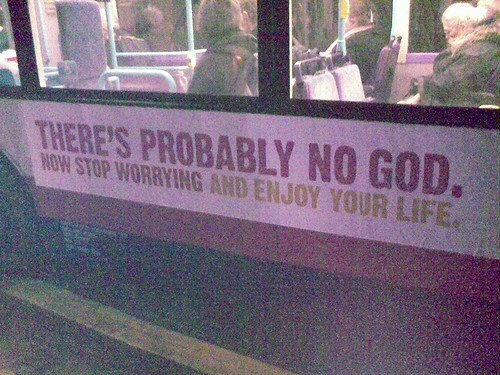 I spotted the atheist bus advert on the side of a First Group bus on West Street in Sheffield. “You were wrong about Santa. The easter bunny and tooth fairy.